Where is The Portion of Elisha? 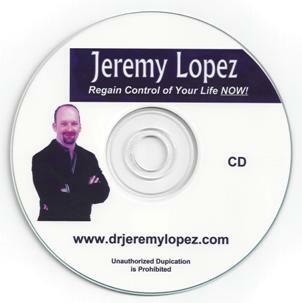 is a very revelational teaching by Jeremy Lopez. Do you know what anointing you are working out of? Are you working out of the anointing that is yours or someone else's. If you would like to extend an invitation for Jeremy Lopez to minister at your church or conference and are unsure about expenses, below are requirements that Jeremy needs to meet for basic ministry and day to day life expenses. This was established by the Board of Directors of Identity Network for Jeremy Lopez. We ask for the host (church or ministry) to cover the costs for airfare, food, hotel and honorarium. Identity Network purchases airfare for Jeremy and will get the lowest possible rates for you, the host. Airfare reimbursements must be paid for by host at least three weeks prior to event. Identity Network's Board of Directors also ask that a love offering be received (only for him) in every service Jeremy ministers in unless other wised previously discussed and other arrangements were made. We also ask that the host please be "kind" when picking a hotel for him to stay in while minister with you in your meeting. Jeremy will need a 6ft table to display product and a cordless microphone when ministering. A cordless microphone is better when prophetic ministry is in activation. This allows Jeremy to move out to prophesy, preach and lay hands on people as the Spirit leads. *He often travels with his personal assistant as well which expenses is also taken care of by the host. - unless he has previously made arrangements with host. If you should have any questions or concerns please let us know so we can discuss them and make adjustments accordingly. We are willing to work with you to bring about the kingdom of God in your meeting.